Natural Deep Regenerating Facial Mask for normal, dry and sensitive skin, suitable for the face, neck and décolletage skin. 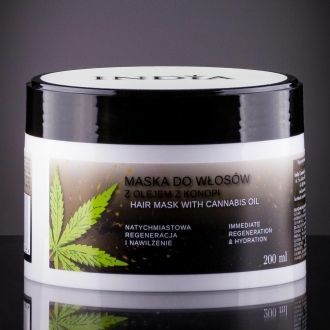 Natural regenerative skin mask, Regenerating Facial Mask from pure Cannabis sativa oil, marigold and vitamin E for treatment normal, dry and sensitive facial skin, neck and lower neck. Active substances are instantly absorbed by skin and help to regenerate and hydrate all layers of skin. Regenerative skin mask, Regenerating Facial Mask helps to restore skin's natural hydration and pH ballance. It also helps to smooth and soft feel of your skin and to reduction of wrinkles and another signs of aging. Your skin feels radiant, flexible, silky smooth and soft. Use: Apply a thin layer of Natural regenerative skin cream mask on face, neck and low neck. You can help to increase intensive the effect by gentle massage or packing of treated areas. Leave the mask reacting about 10-15 minutes, than rinse with water or use cosmetic cleaning pads. 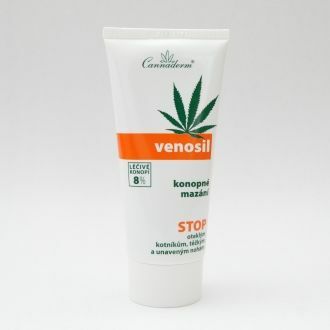 Ingredients: Aqua, Cannabis Sativa Seed Oil, Polyglyceryl-3 Methylglucose Distearate, Stearic Acid, Tocopherol, Cetyl Alcohol, Glyceryl Stearate, p-Anisic Acid, Caprylyl Glycol, Propanediol, Glyceryl Caprylate, Xanthan Gum, Lavandula Angustifolia Oil, Lecithin, Lactic Acid, Calendula Officinalis Oil. For: the intensive regeneration and nutrition care of dry, sensitive and aging skin.